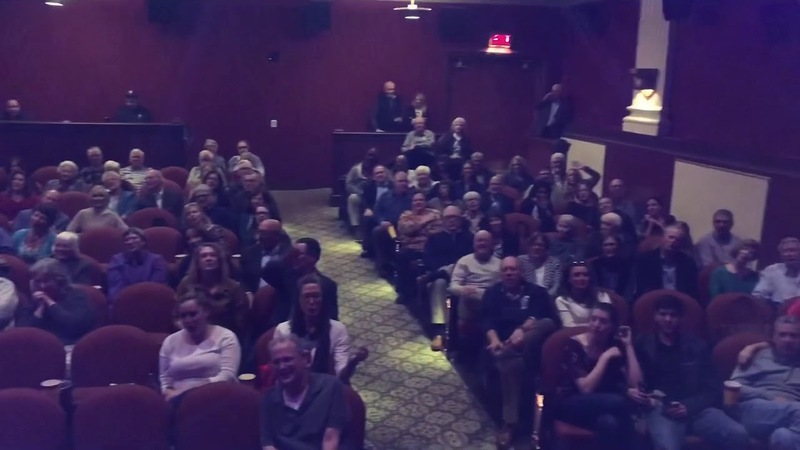 Theater show for over 360 Guests! Wobble Live. Yes you read that right! We are a small and exclusive Dueling Piano company that uses only a few of the very best Dueling Piano entertainers in the industry. Only the very best singers, players, and duelers work with the Philly Keys. All have over 10 years of training and know exactly how to cater to exactly what the client wants. Unlike other dueling companies that book as many jobs as possible and rely on any and all freelance dueling players, The Philly Keys only uses the 3 best teams in the country! We run several options from straight dueling piano show to dueling plus drummer to dueling party band. We also have musicians for solo entertainment for ceremony, cocktail, or private and bar events. Hands down the best we've had! We love Dueling Pianos. For the past 6 years we've thrown parties and brought on a new act. We used dueling pianos for 4 out of 6 of them. Two years we got full cover bands. We liked one of the dueling piano acts that came through and two of the others were really not all that impressive. We decided this year to try The Philly Keys and they were just exceptional. They quoted us cheaper than two of the others we had used and really delivered a far superior product. Brian and Sarah do it all and they will give you a party like none other! Best Dueling Act we've had. We had the good fortune of seeing The Philly Keys playing in West Chester and they were so impressive that called them the next day and hired them for our company party. We've used a number of dueling piano acts as well as full bands and DJ's over the years and this was the first year that we just kept extending the party because of how much fun everyone was having with The Philly Keys. The difference was immediately recognizable and their talent is truly unbeatable but it's their personalities, sense of humor, and ability to act on the fly that made the night so unforgettable. As someone who's seen it all, I can say without pause that The Philly Keys took things to another level altogether. Very much appreciated that you took the time to leave us a review and we look forward to playing for you again! 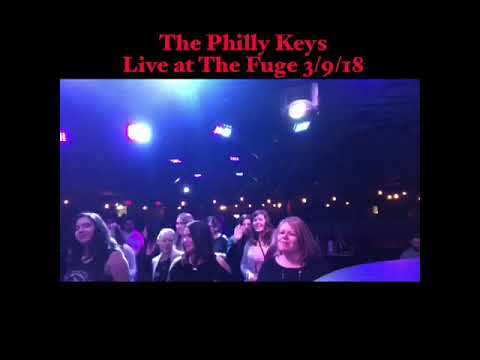 We had the PhillyKeys play our event on Friday night at The Fuge. They are outstanding!!!!!!!!!! They engaged the audience, got us all singing along and dancing. Great dueling pianos. We are having them back again next year! When it comes to dueling piano acts, The Philly Keys are on another planet. I suggested dueling pianos for our company party this year. I've seen Dueling Piano acts from New Orleans to Howl at the Moon and a bunch in between. It's always such a fun atmosphere. Out of so many dozens of acts I've seen though, I've never seen talent like this. Mike and Brian got everyones attention from the second they started and pulled out all of the stops. Our table even started throwing extreme curve balls at them: Baby Got Back, Spice Girls, TV theme songs etc. and they knew everything. They got an otherwise shy and reserved crowd up dancing and singing and LAUGHING most especially. We give our strongest recommendation to The Philly Keys. Thanks for an unforgettable party! True pro's across the board. I threw a retirement party for my husband and we had seen Brian perform solo at a Christmas party and he was thoroughly entertaining. When I asked him about performing for a retirement party he suggested his dueling piano act and we decided to book it. Everything was excellent and they even took the time to write a song for my husband based off some information I gave them about him through an email. If you're in the market for a very unique and entertaining show, Philly Keys are the way to go! My husband and I can not speak highly enough about The Philly Keys. We saw them playing at our friends wedding a couple of years ago and knew we wanted to book them for our wedding. Neither of us had seen a dueling piano show before but the party they put on was better than all of the other weddings I had ever been to. They got people up with the very first song and kept people up all night. My feet we're killing me by the end of the night! Thank you for making our dream wedding a reality! Not even being dramatic here...The Philly Keys were out of this world! We first came across them on wedding wire and thought it might be a good option to try dueling pianos so we did our homework and saw a bunch of dueling piano companies and it was night and day between all the others and The Philly Keys. The clearly stood out with their playing and singing and the energy they got out of the crowd. Plus they broke out several other instruments. We used them for all of our music needs from ceremony to cocktail and reception and the praise was unanimous from everyone in attendance. Unlike typical wedding bands or DJ's they incorporated a lot of comedy and crowd participation. All around 5 stars. Can not thank you guys enough! The Philly Keys made our entire company party. We hired 2 different dueling piano company's over the last 2 years and they were both ok but they didn't quite get the crowd involved as much as we had hoped. The Philly Keys took things to a different level and had everyone involved. They roasted two of the bosses and had routines with the guests. Plus they were phenomenal piano players and singers. We will be using them for our future company events. When it comes to the Philly Keys, I'm not sure where to start. The short of it would be-if you're thinking about booking them-DO IT. If that's not enough - please read on. My wife and I booked the Philly Keys for our wedding. First of all, a dueling piano band is so unique for a wedding. None of our guests had even heard of a dueling piano band at a wedding, let alone been to one. I can honestly say it's one of the best choices we made for the whole wedding. The Philly Keys were not only great musicians, but they absolutely kept the party alive and handled (to my knowledge) every request with ease. The music sounded great, all our guests were rocking out on the dance floor - it was flat out awesome. Brian was also willing to accommodate us needing an early sound check due to the timing of everything. Additionally, Brian was a total pro MCing the reception. I wasn't completely sure what to expect given how different this idea is for weddings. My advice is book them ASAP before this becomes a trend. AND try to get as much as you can out of your event/reception. My only regret is they had to pull the plug at 10 (venue/township regulation). I hope we have an excuse to book them again in the future!!! Your crowd was so much fun. Thank you guys for having us and hope to see you soon! When my husband and I had the idea to have dueling pianos at our wedding, we really weren't sure if a) that was a thing and we could find a pair to do it and b) it would work for wedding entertainment. We were SO lucky to find The Philly Keys. Their talent is unbeatable, and they are fantastic guys. 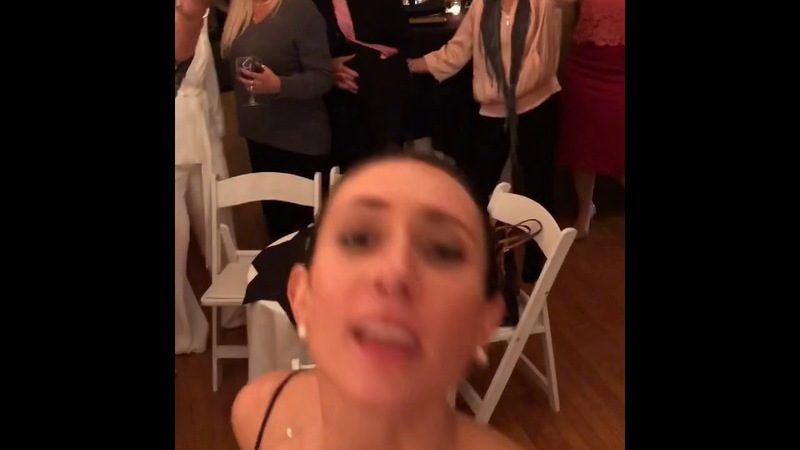 They were able to beautifully play acoustic songs that we selected on both piano and guitar, as well as hit the play button on recorded tracks that were better for our parent dances and first dance as a couple. More importantly, they truly created an unbelievable party, feeding off the crowd, taking requests, and even surprising us with a cover of "Bohemian Rhapsody" to end the evening, to my Queen-loving heart's delight. We had so many compliments from our guests on how talented, original, and fun The Philly Keys were, and we highly recommend them! Thank you for the review and for all the Queen requests! We offer several options. We take care of solo piano needs whether you're looking for a soloist or a singer/player. We specialize in dueling piano's. If you're booking us for a wedding, you have the choice of using straight dueling piano's or you can add additional musicians Either way, every wedding show we've done has been met with high praise and we often here that "this was the most fun wedding ever." We can also handle all your music needs for your wedding. We take care of ceremony and cocktail for a very small additional price. If you book us for a corporate or private party the show will be much different. You can expect a lot more interaction, comedy, crowd participation etc. Usually we keep things G rated but it's not uncommon to get requests for more adult stuff, which we absolutely love to do as well. We do bring the pianos that are in the photos and videos which always add a nice backdrop to any room and provide an excellent place for folks to leave requests. My name is Brian Aglira. I got into music as a kid and made my living in cover bands and as a solo musician from about 2000-2007. In 2007, a dueling piano bar opened in Philadelphia and since I was a piano player and singer, I figured it might be a good place to work. I walked in on a saturday night and realized immediately that the guys on stage were complete pro's. They had the place singing, dancing, laughing, and partying like I've never seen another act, all with just 2 guys. I began training and was able to land some weekday shifts. I had to put in literally 1000's of hours of practice for this job bc it required that you're able to play nearly any request. We also had to know college fight songs, NFL fight songs, how to roast people for special events, how to make toasts, and jokes and just non stop banter. I fell in love with it and really took to the concept. 7 years later, I turned it into a full time business and I employ only 3 other teams of duelers that all have the same level of training or more. There are tons of "dueling piano" acts popping up on the internet these days that are simply two guys or gals that play piano and sing. I can't stress enough how far a cry that is from what a good dueling piano show is and how much it's undermining legitimate dueling piano companies. Don't be duped. With the Philly Keys, you're guaranteed to get the very best professionals and the best show around. 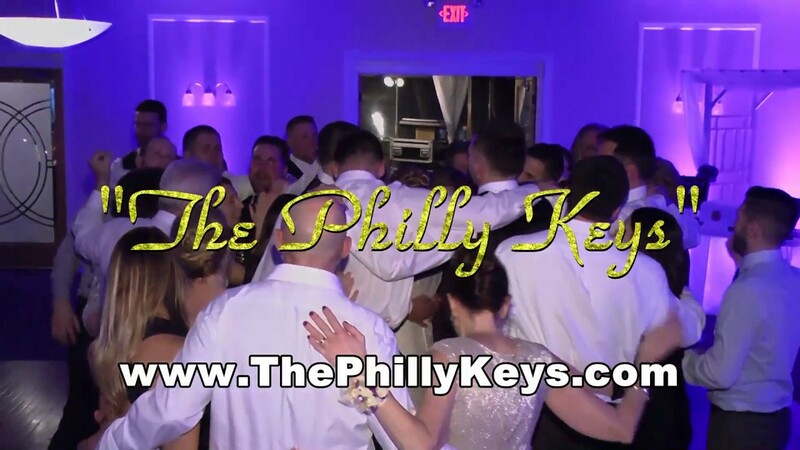 Please check us out on wedding with at https://www.weddingwire.com/biz/the-philly-keys-malvern/988fe8c20feca5fe.html or on our homepage for a bunch more in the way of videos and reviews! Set list is literally in the 10's of thousands. It is an all request show!